Wake Up Surrey organizers Gurpreet Singh Sahota, Sukhi Sandhu and Harjit Singh Gill last year. 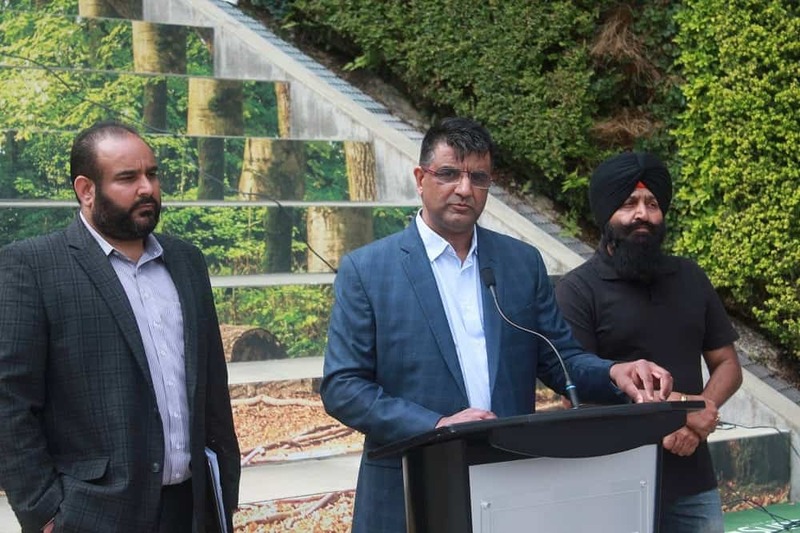 SUKHI Sandhu, one of the chief organizers of Wake Up Surrey, has announced on social media that he has quit the organization, claiming that some people were trying to defame and his family. He said the the RCMP were looking into his defamation complaint.